We're quite an outdoorsy family and in particular we have a love of of cycling. I'm not one for riding on the road but we lucky to have various large parks with cycle trails very close to where we live. 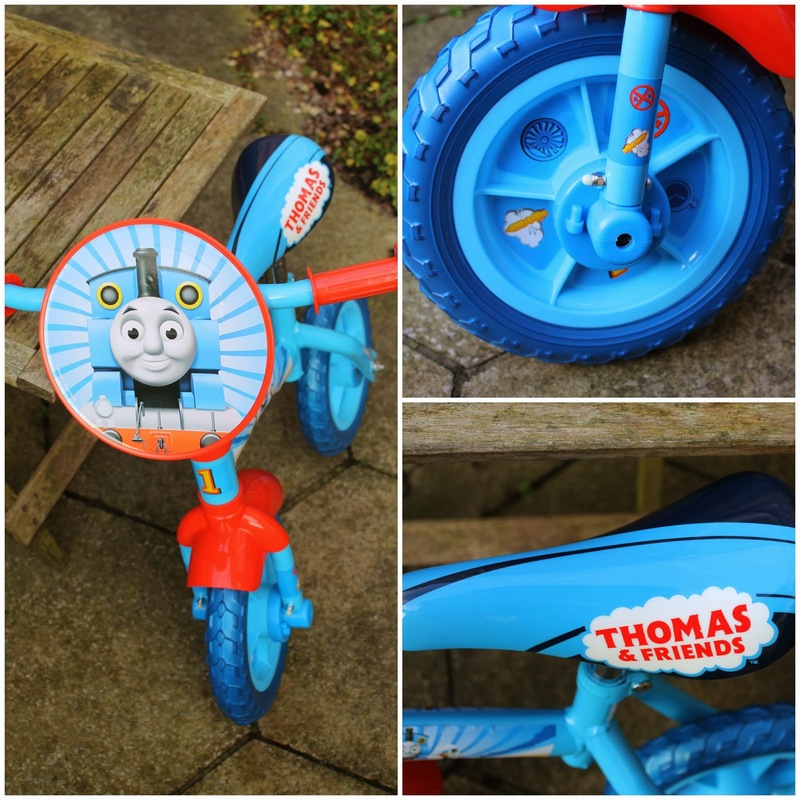 Now the youngest member of the family has just turned 3 we thought it would be an ideal opportunity to get him his first proper bike for Christmas this year. My son is quite small for his age so I didn't want to get him a bike with pedals on just yet as I thought it would be too big for it. Studies have also shown that balance bike have proved to be a better way of teaching a child to ride a bike opposed to putting stabilisers on. Since I am with my son all day long it proves a little tricky to do any shopping let alone Christmas present shopping for him. In such times I reach for the Argos catalogue or as is the case these days I look at their website. They have a store near me that I can walk to but when trying to keep a three-year-old under control and hide their Christmas present from him the home delivery service is a lifesaver. As many boys of his age my son loves fire engines and trains so I decided to see if there was anything in the Thomas the Tank Engine section and found Argos have quite a range of items. Many people think that by buying a branded item you'll be paying more for something of lesser quality. I beg to differ. My daughter went through two scooters (first lasted just two weeks) before we bought her a Hello Kitty one from Argos. To date this is still going and has been the best quality one of all three. She also had a High School Musical bicycle which was in such good nick when she grew out of it we were able to sell it afterwards. 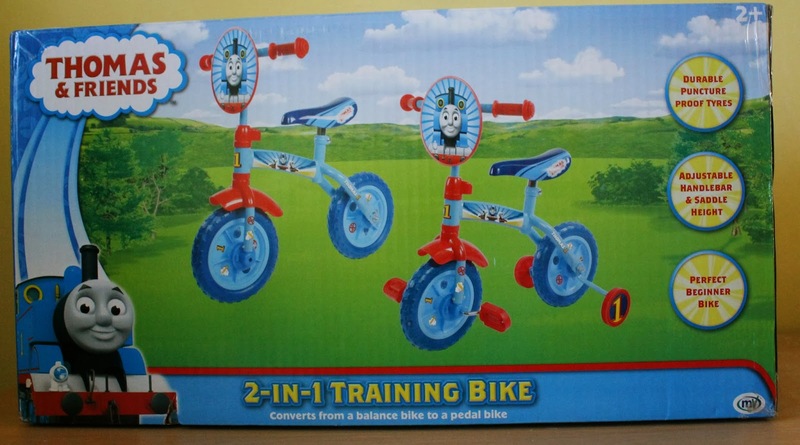 I found just the thing I was looking with this Thomas and Friends 2 in 1 10 inch Trainer Bike. It's suitable from age 2 so should be the right size for my little chappie. 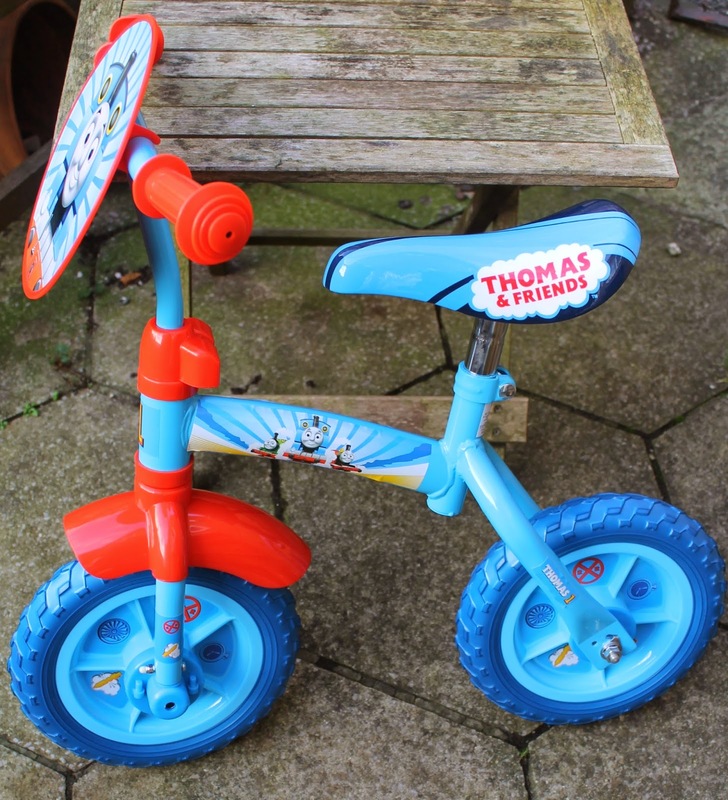 As you can see it starts off as a balance bike and once they have got the hang of it you can add pedals and if required it also comes with stabilisers.It came in a box and there is a little bit of putting it together required but my husband was able to do this with just a simple spanner and no cursing. There is also a selection of stickers to put on the wheels and frame. The front logo plate snaps onto the handlebars. If you don't want to add all these items you don't have to. A nice touch is the cushioned seat as quite often on children's bikes they can be just hard plastic. As my son is starting nursery next month I can see him going there and back on it. Another important consideration for me therefore is the weight. Thankfully it is very light at under 3kg (I'm a bit of a weakling) and isn't awkward to carry at all. With the adjustable seat height and the pedals option I'm hoping this could last my son for about two years before he grows out of it. Overall, I'm extremely pleased with it and I hope my son is too when he opens it on Christmas Day. This post is in association with Argos. I was sent the item to review and no payment has been made. The thoughts, words, photographs and opinions are my own. I was not obliged to write a positive review.